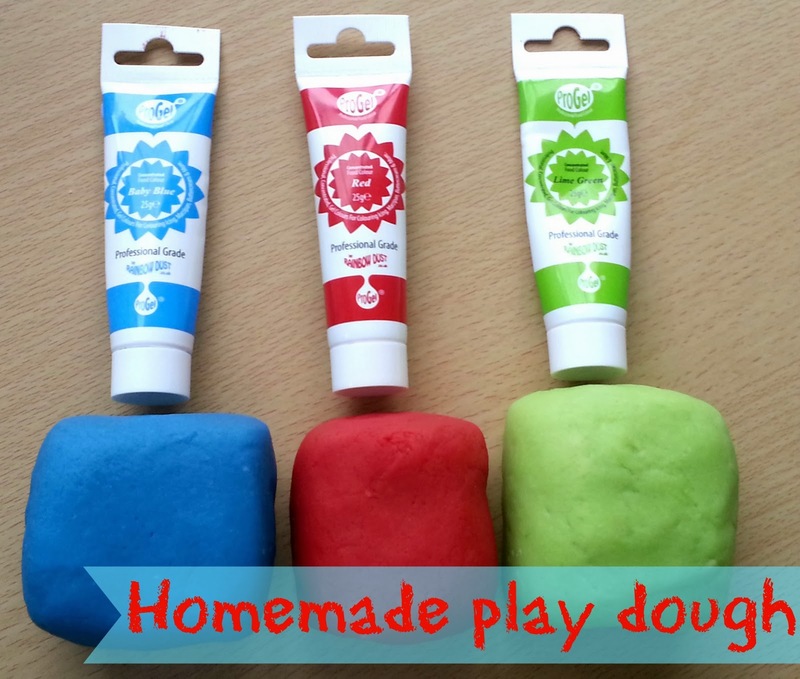 My sugar coated life...: Frugal fun: simple homemade play dough! But, we're still feeling the pinch after Christmas so this week I'm trying to keep it frugal and and create as as many homemade activities as possible. First up is a classic. 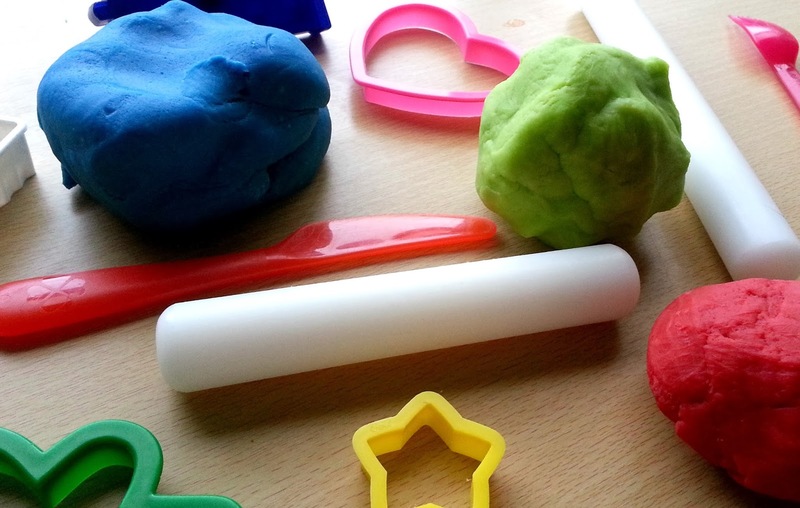 Homemade play dough. Now I have tried LOTS of recipes for this but I always come back to the classic 'cook in the pan' version. 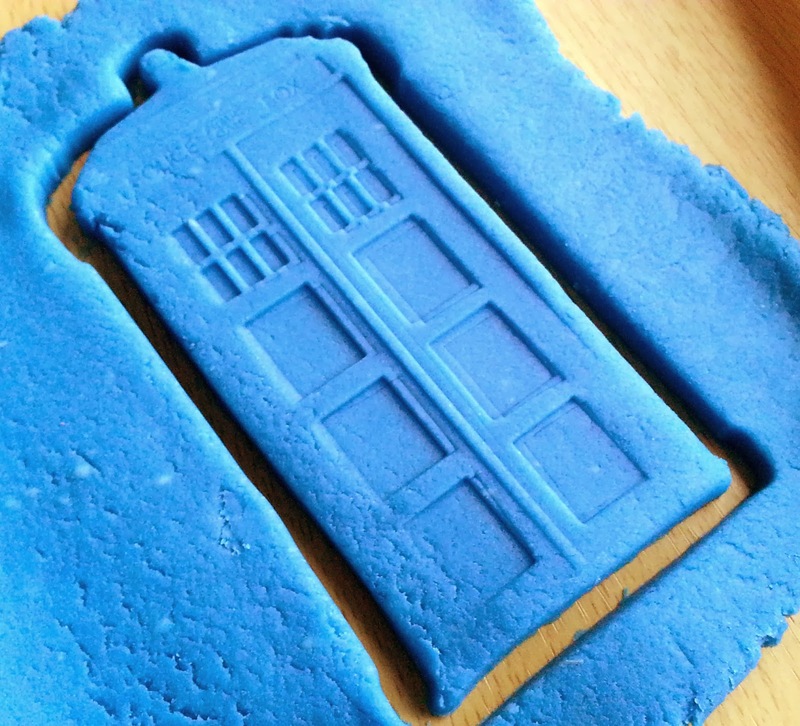 It feels exactly like store bought play doh and keeps for ages in an airtight container. We even added bubblegum flavouring to ours to give it a nice smell! 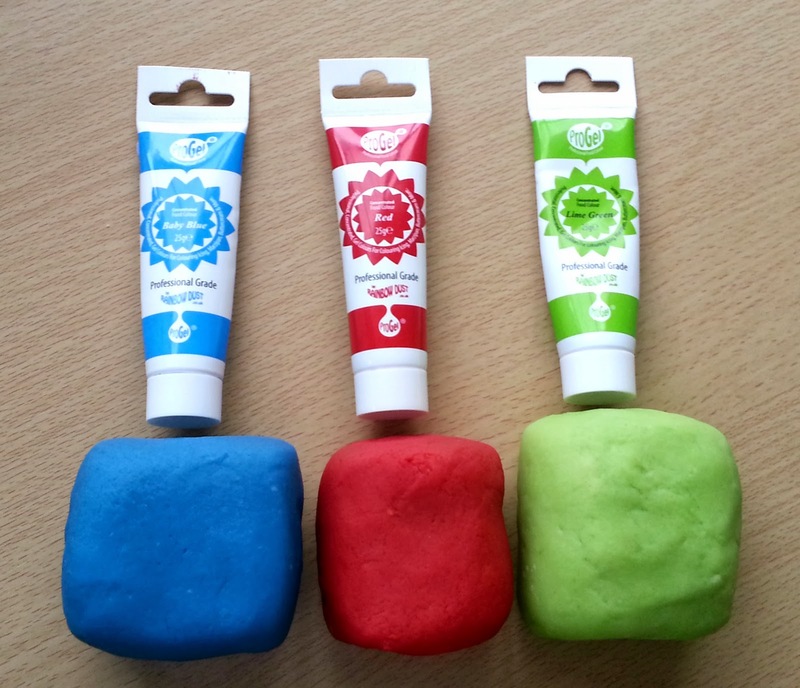 I used my old faithful Progel colourings which I use for baking as they're concentrated colours so you get nice bright colours after using only a couple of drops. The recipe is very basic and the only element that you might not have to hand would be the cream of tartar. It's an essential ingredient though so no substitutions. 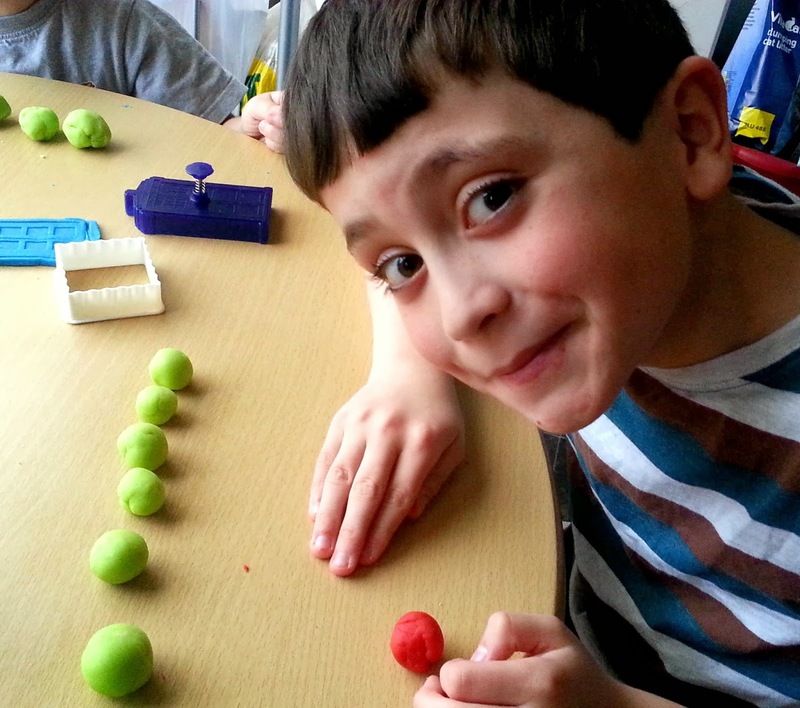 This recipe makes approx 850g of dough which is enough to amuse two young minds! I wanted to make 3 colours so I mixed the ingredients into a large bowl first and then cooked each 1/3 separately. Add all ingredients into a large bowl and mix thoroughly. The mix will be lumpy but that's OK.
Heat a saucepan over a medium heat and add approx 1/3 of your mixture. Add colourings at this stage. Keep stirring mixture until it starts to form a ball and pull aways from the sides. As soon as the mix is one big ball then remove from the heat and set it to one side (this only takes a few mins). BE CAREFUL! The dough remains hot for quite a while so keep it out of the reach of little hands. Repeat the process with each 1/3 of mix and let dough rest until completely cool. Knead the dough into large balls and store in an airtight container. Our last batch lasted for most of the summer so it has a long shelf life.